Any discussion about the best to-do list app isn’t complete without mentioning Wunderlist, a truly cross-platform and easy-to-use task manager Wunderlist: Easy-To-Use, Versatile & Cross-Platform To-Do List Manager Wunderlist: Easy-To-Use, Versatile & Cross-Platform To-Do List Manager Read More . It has just got a big update with two new features which are essential to a good to-do app: organizing and quickly adding tasks. Apart from the new tools, Android users will be happy to know that Wunderlist has been rebuilt from the ground up to work with the new Android 5.0 Lollipop Android 5.0 Lollipop: What It Is And When You'll Get It Android 5.0 Lollipop: What It Is And When You'll Get It Android 5.0 Lollipop is here, but only on Nexus devices. What exactly is new about this operating system, and when can you expect it to arrive on your device? Read More , and includes Android Wear and Google Now support, among other additions. Truly, this sets it to be one of the best apps for managing to-do lists on Android 8 Best Apps for Managing To-Do Lists on Android 8 Best Apps for Managing To-Do Lists on Android Don't try to juggle dozens of tasks in your head. These awesome Android task management apps help you efficiently keep track of your to-do list. Read More . 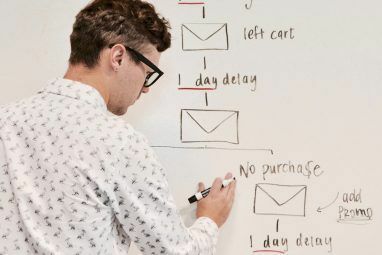 For all these years, Wunderlist has focussed solely on the “list” aspect of a to-do list, without realizing that it ends up limiting someone who wants more organization. 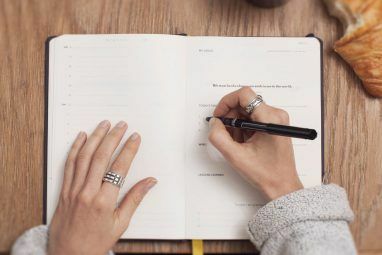 In fact, not organizing your tasks is one of the main reasons your to-do app can make you less productive 5 Reasons Your To-Do App Is Making You Less Productive 5 Reasons Your To-Do App Is Making You Less Productive Giving up on your to-do lists? Your problem isn't your ambition or the task planning app you use. The problem is in how you are using your to-do list in general. Read More . 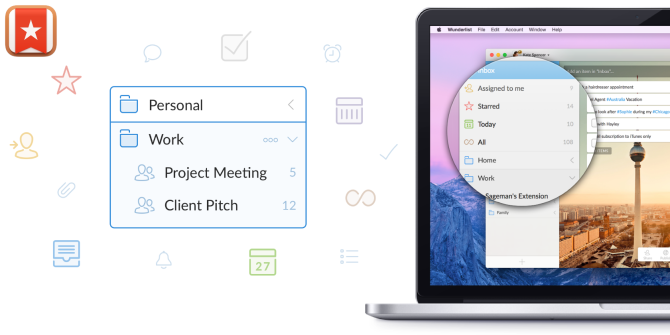 Wunderlist hopes to fix that with Folders, one of its users’ most-requested feature. It’s quite simple to use. If you have two lists, you can select and drag one on top of the other to group them together as a folder. There are not many things you can do with the folder: You can name the folder what you want, rearrange the lists in it how you want, and change the folder’s position in your Home View. So why is it useful? Folder Use #1: As Lifehacker notes, it’s important to separate work, personal and other tasks into categories, and that’s the basic step of managing a to-do list that you can do with folders. Folder Use #2: I’m a big fan of using a Done List to achieve targets Ditch Your To-Dos: How To Use A "Done" List To Achieve Your Resolutions Ditch Your To-Dos: How To Use A "Done" List To Achieve Your Resolutions Resolutions come from a part of yourself where you feel lacking. Instead of a to-do list, try a "Done List" for a positive mindset to achieve your targets. Read More , and folders makes that possible. Whenever you finish with a list, move it to the Done folder in Wunderlist. The best part? This way, all your previous lists are saved, so that if you need to retrieve one, it’s easy — and it won’t clutter up your dashboard. 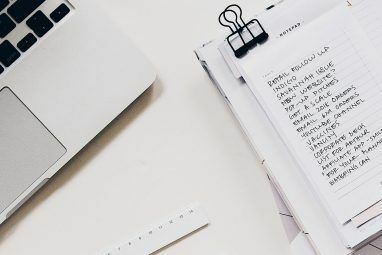 Folder Use #3: There are several types of to-do lists to be more productive 3 Types of Lists That Actually Help You Be More Productive 3 Types of Lists That Actually Help You Be More Productive To-do lists are the ultimate productivity weapon. These to-do lists could give you all the power you need to get things done. Read More , and Folders makes it easy to switch between different methods. So you might want to sort tasks by mood one week, and sort to-dos by location Separate Your To-Do Lists By Location And Get Things Done Separate Your To-Do Lists By Location And Get Things Done The sight of a long to-list can be overwhelming — even paralyzing. An effective solution is to maintain different task lists, based on the place you are at. Read More the next week. As long as you set up those folders, you can simply drag-and-drop the same lists into the appropriate folders at the start of the week, depending on which system you want to use. We’ve already noted how Wunderlist is a good alternative to iOS Reminders Wunderlist Is A Compelling Alternative To Plain Old iOS Reminders Wunderlist Is A Compelling Alternative To Plain Old iOS Reminders A lot of people are perfectly content with iOS's built in Reminders feature, but there are some people who find themselves looking for more from a to-do app. Wunderlist gives you more. Read More , but this new update will make you want to ditch iOS Reminders entirely. Mainly because it does one thing well: quickly add a new task or reminder. One of the reasons to love Google Calendar and sync it everywhere How to Sync Google Calendar with Every Other Platform How to Sync Google Calendar with Every Other Platform Google Calendar is arguably the easiest, most intuitive and most versatile way to organize your day. The only problem users commonly encounter is syncing it with their devices. Read More is its natural language support. You can type “Monday at 5pm” and Calendar will know what you are saying, making a new event accordingly. Wunderlist does that too now, and in our test, it worked perfectly — just as good as Google Calendar, in fact. So all you have to do is fire up Wunderlist on your iPhone, tap the blue circle, and speak into your phone, something as simple as, “Meet Mihir on Tuesday for Lunch at the Taj.” You’re buying, in case you were wondering. I’ve been trying out to-do apps for a long time now, and Wunderlist is among those that always stays relevant in the face of several newcomers. Why? Because it does the little things right. Ryan has written about the five commandments to choose the right productivity app The 5 Commandments for Choosing the Right To-Do App for Productivity The 5 Commandments for Choosing the Right To-Do App for Productivity Different people organize in different ways. So choosing a to-do app really depends on what kind of person you are. Here are five commandments you can think about for your own productivity system. Read More , and Wunderlist can tick all of those. Even in the new update, apart from all of these features, it continues improving in the smallest of ways. Take, for example, the design tweaks. Wunderlist has introduced some new colours and twelve new hand-crafted pictograms. If an app is attractive and enticing, you’re going to want to use it more—or at least not shy away from it. Like I said, it’s the little things. The new Wunderlist update is available right now on iPhone, iPad, Android, and Mac, and will be coming to Web, Windows and Chrome over the next few weeks, the company says. Will Folders Make You Switch? Several users of rival apps like Todoist and Any.Do have often cited Wunderlist’s lack of Folders as a deal-breaker. I’m one of them, in fact. Now that Wunderlist has Folders, I’m actually considering giving it a try once again. What about you, will Folders change your mind? Explore more about: GTD, Planning Tool, To-Do List. I need to be able to list sub-tasks. A folder approach could be a work-around but would need to have sub-folders, which doesn't seem to be an option. Honestly, You need to use Todoist to see how far it is ahead of Wunderlist. I tried Wunderlist and had many problems. The main problems were items disappearing from a list and items mysteriously being duplicated on lists. It didn't happen to every item on a list, just some. I felt like I had to keep a second list to make sure Wunderlist lists were correct. Also sometimes I had trouble connecting with their server. I switched to Todoist and I'm glad I did. It's not perfect but it's the best I've used to date, and I've used many list/reminder/to-do apps. hmmm. Tried them all. Don't let the GUI fool you. TODOIST is in a different class. The interface for tidiest is so much cleaner and far more intuitive. Ditching the iOS Reminders app is not possible for me just yet. The new Wunderlist doesn't allow for positional reminders. Unfortunately, saying, "Remind me when I get home to call the dog groomer" still only works with the Reminder app.